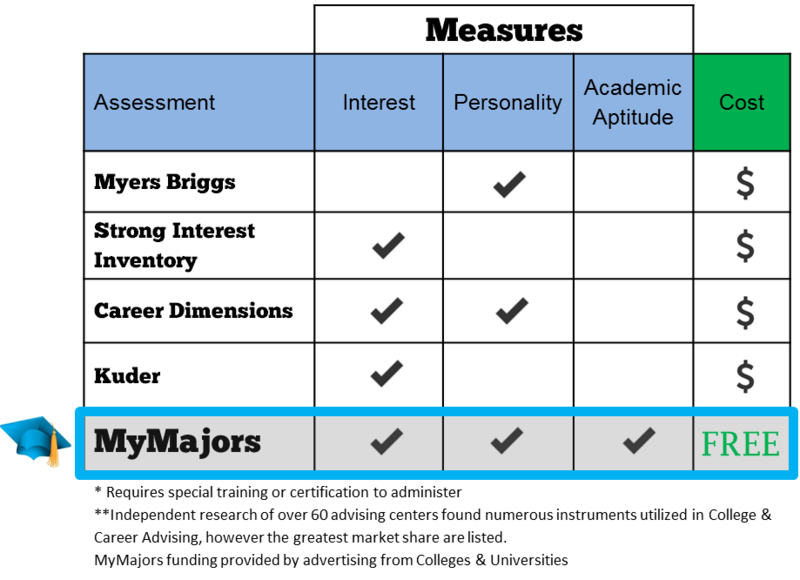 MyMajors addresses the national crisis in college completion by providing students with a better tool for choosing the right Major, College and Careers. The free assessment software surveys academic aptitude, grades, achievement tests, course enjoyment, interests and personality and is free to students and their counselors. The National Science Foundation has awarded our program continued research and development grants to continue our mission for student success and completion. 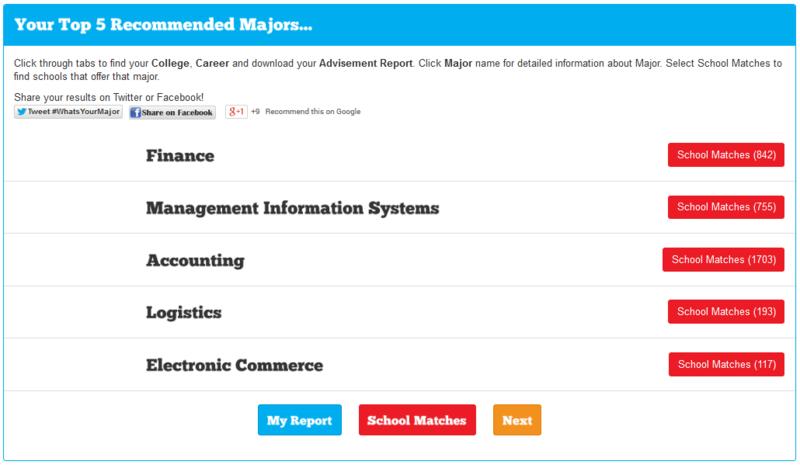 By creating your own customized account for your student, you give students access to the program, they can receive their Advisement Report, and you have admin privileges to review all your students results: www.mymajors.com/subscribe. The webinar above explains the challenges in college and career planning and how MyMajors can be integrated to help your staff save time, resources, money and energy. By utilizing the program in your college and career curriculum, students take a 15 minute assessment and receive recommendations for a future Major, College and Career. To watch a video on how to login and download your students results: visit here. If you have any questions contact us at 816-361-0616 or info@mymajors.com. How can you use MyMajors in your counseling program?